Utah is headed to New York City. Despite playing on the road and without senior David Collette in the second half, the Runnin’ Utes took down top-seeded Saint Mary’s with a 67-58 victory in overtime. Utah became the second team — along with Gonzaga — to defeat Saint Mary’s on its home court this season. Collette, Utah’s second leading scorer at 12.6 points per game, scored just eight points and played 14 minutes due to a back injury. 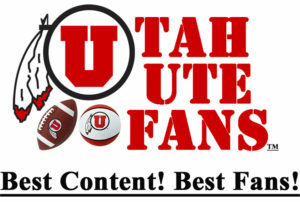 But other players stepped up as Sedrick Barefield and Gabe Bealer knocked down big shots in regulation as the Utes finished regulation on a 10-1 run to force overtime. Utah kept it going in extra time as they outscored the Gaels 13-4 to cruise to victory. With the win, the Runnin’ Utes advance to the National Invitational Tournament (NIT) Final Four at Madison Square Garden. Second-seeded Utah will take on fourth-seeded Western Kentucky on Tuesday. Utes senior forward Tyler Rawson scored 17 points and pulled down a team-high seven rebounds. Barefield scored a team-high 19 points, and both he and Rawson combined to make five 3-pointers apiece. LOSER HAS TO PUSH THE BLEACHERS BACK IN!!!! The Runnin’ Utes are headed to New York City!?#GoUtes! The kids on this team get the experience of traveling to NYC and playing in Madison Square Garden. Anyone hating on that doesn’t understand what it’s all about: The Players. 67-58 and they are NEW YORK Bound!! !